Jai Malano, 33, Austin, Texas, USA; is a roots Blues/Rock & Roll vocalist and song writer. What motivated you to deal with the subject of female stereotypes in your art? I was motivated to become a part of this project after a Facebook friend, who is also a writer, shared the info via her Facebook status. After looking over the details, I knew it was something that I would be proud to be a part of. I chose this submission because the song was written to address the stereotypical roles that are forced upon working women, especially women working in entertainment. ‘You Made Me Love You’, is a song about a woman who wishes to forgo all the societal norms of what it means to be a woman. She is living free with no responsibility other than herself until she finds herself in a relationship and expecting a child with someone she was never interested in longterm. She is angry that she now has everything she never wanted (house, husband, dog, and a child), and feels like the man made her love him in order to get what he wanted. She feels trapped and she wants him to leave so that she can get back to her life of traveling and being a free spirit. The sad part is that she begins to do all these unattractive things so that he will leave, but he never does. The song leaves you wondering if he really loved her or just used her to get what get what he wanted for himself. In doing this, the song begins to play on the idea that men desire more of a traditional family setting but force it on the woman who is able to nurture and sustain a life, because of womb envy and male stereotypes they might be coming to terms with as well. I chose singing and song writing because that is the medium of art that I most I understand am able to relate to. I hear a melody and tempo, and I record that first, using my cell phone or Garage Band software. I then work with that melody and attempt to write lyrics. After the song is done, I listen to it. And if I find myself singing it, like any other song on the radio, I know it’s a keeper. If not, I go back to drawing board and change the melody or lyrics, or toss it and start from scratch. I am influenced by other singer-songwriters. So Ray Charles, Aretha Franklin, John Legend, Sam Cooke, Lionel Richard, etc. Feminism to me means that I am able to be the woman I choose to be with no fear of backlash from other women, or men, about my choice. I could be a homemaker, a CEO, or an exotic dancer. I could believe in marriage or not. Having children could interest me or I could reject the idea of procreation entirely. Feminism is recognizing what your choices are, and being free to make whatever choices you decide, however often you decide. I believe in what the organization is doing. Simple as that. I want to be apart of things that I believe in. I believe some women choose to because they don’t know otherwise. I don’t have that problem. Granted, I don’t leave the house without makeup, or always looking my best, but that has more to do with self preservation and esteem, than it has to do with societal norms. No. 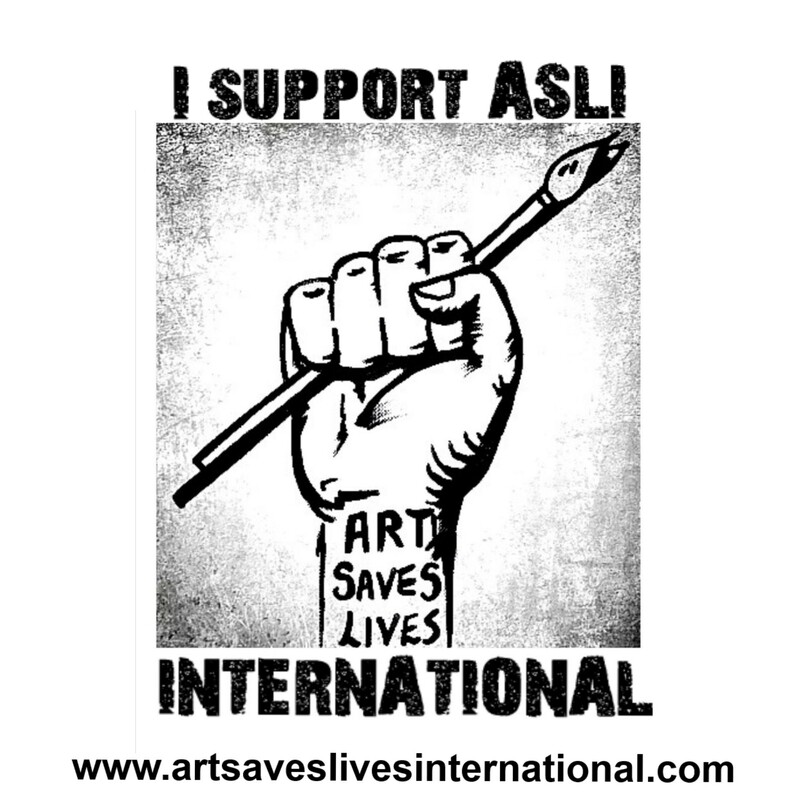 We wouldn’t need nonprofits like ART SAVES LIVES INTERNATIONAL if that were the case. Children’s rights and LGBT youth. Art is one of the few things you can create that only feeds on emotion. As does love and hate. For me, art is that splitting of the difference between the two. It has been a form of therapy for me for as long as I can remember. I am not sure if my goal is to create change in the world with my art, so much as it is to touch another human life with my gift; but it would be nice if I could. Most of my songs are personal truths of mine. I have learned to take the things that people are ashamed of, and wear them like a badge of honor. If I can inspire other people to do that, it would be amazing. My goal is to touch as many lives as I can, inspire as many artists as I can, and just share my voice and all my stories with as many people who are willing to listen. Well, I don’t usually share that type of information but it’s about a woman who was broken, and met a man who wants to build her up to his liken. I have this motto that I live by; “Never let a person tear you down just to rebuild you to their standard”. It’s coming along but it’s deep. And when it’s sunny outside, I try to avoid going too deep with my writing. Thank you for giving me the opportunity to share one of my stories. I am so grateful and humbled to be apart of this.